Read the News from the PLRP project leads and view the public calendar. 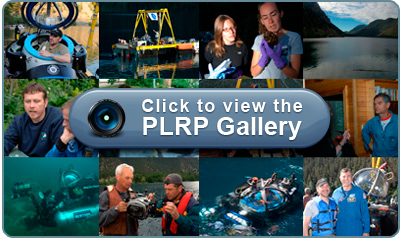 The Pavilion Lake Research Project (PLRP) is an international, multi-disciplinary, science and exploration effort to explain the origin of freshwater microbialites in Pavilion Lake, British Columbia, Canada. Fossil microbialites represent some of the earliest remnants of life on ancient Earth, and were common from ~2.5 billion to 540 million years ago. 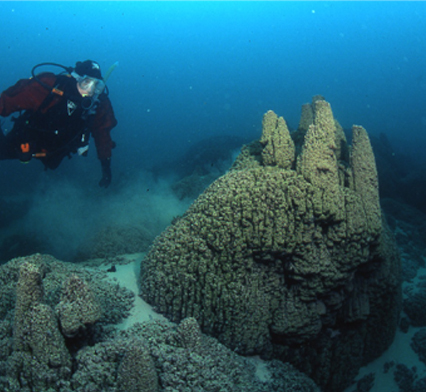 Today, microbialites are found in environments where conditions are often too harsh for most organisms. However, the microbialites in both Pavilion and Kelly lakes have provided a new environment for the scientific community to study. These lakes demonstrate that large and uniquely shaped structures can also occur in non-extreme environments that also support fish, plants and other species. The microbialites of these modern lakes are relevant to our understanding of ancient microbiaites that were once common and diverse on early Earth, as such, Pavilion Lake has become an exciting field site for Earth scientists and astrobiologists who are interested in the application of the PLRP research to the search for life in our solar system and beyond. PLRP is funded by the NASA Moon Mars Analog Mission Activities (MMAMA) program. Historically, funding has also been provided by the Canadian Space Agency’s Canadian Analogue Research Network (CARN) program, NASA ESMD Analogs, NASA ASTEP, Nuytco Research, NASA Spaceward Bound Program, the National Geographic Society, NSERC, and McMaster University. • The community of Pavilion Lake and the town of Clinton, B.C. Last, but not least, we would like to express a very special thanks to Mickey and Linda Macri of Pavilion Lake for their limitless kindness, hospitality, and encouragement over the years.